where a blank frame still hangs on the wall in place of Portrait of a Young Man, a painting the Italian Old Master Raphael made in 1514. It was looted shortly after the blitzkrieg and spent most of the war hanging in the home of Hans Frank, governor-general of occupied Poland. As the Russians were knocking at the door of Eastern Poland in early 1945, he sent it (with many other stolen treasures) to his home near Munich. He narrowly escaped from the Russian Army only to be hanged by the Nuremberg tribunal. 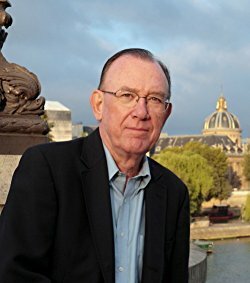 You’ll receive an email whenever I post a new story to my blog, Part-Time Parisian, or something interesting happens in the world of books and I add something to the book blog, John Pearce Books.